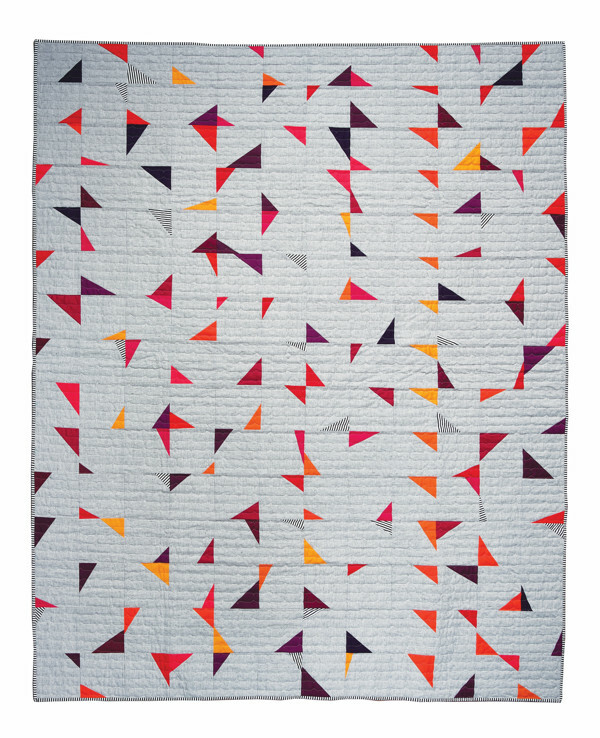 Mellow Grids by Amy Ellis for Curated Quilts -> Get your subscription now! Hi there! 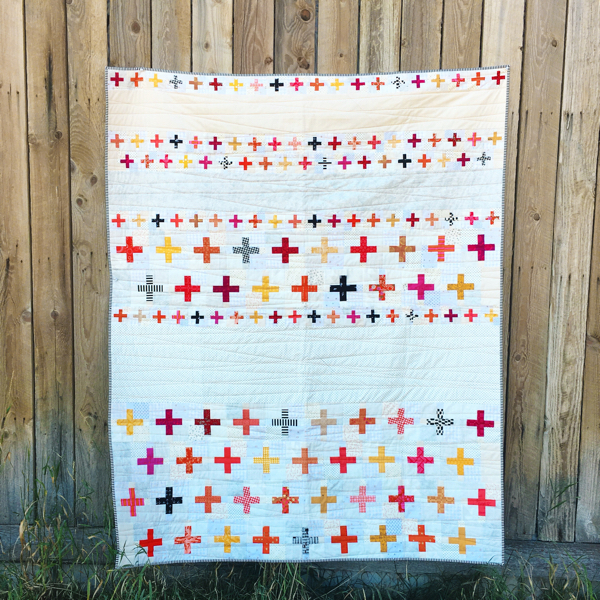 Mellow Grids is a quilt I finished in the late spring for my new venture; Curated Quilts. 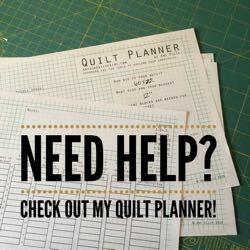 Over the winter months I took on quilting for others, and then found myself going through a lot of batting. As I was loading a quilt one day, I decided to save the batting paper instead of tossing it; certain that I could re-use it in a creative way. After collecting the batting paper for a week, Mellow Grids was initially envisioned! Working in EQ7, I custom set rows of piecing with solid patches in groups that I could easily piece together. 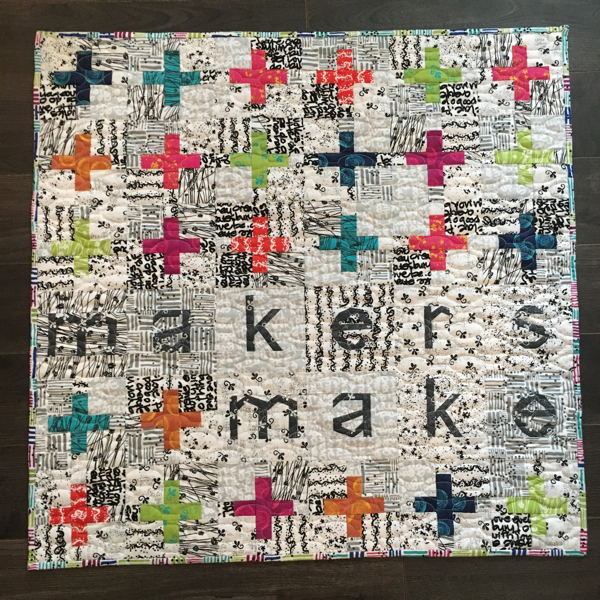 This quilt was so FUN to piece! I measured the length of batting paper to fit my design. Then labeled each piece so that I would know where to place them later in the quilt top. I cut random widths of fabric, without a ruler, and improvised my way down each strip. Trimming as I went, I simply played with the fabric and seams until I was happy with the results. Really, really fun! 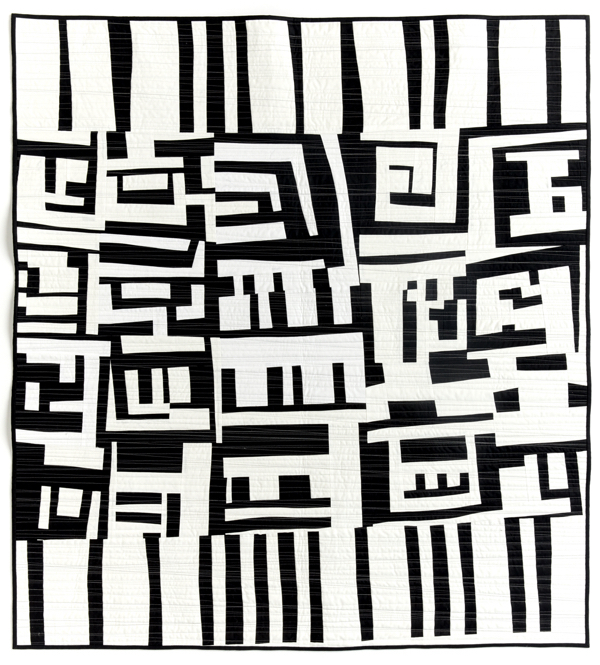 As it came time to quilt Mellow Grids, I decided that only custom quilting would do. 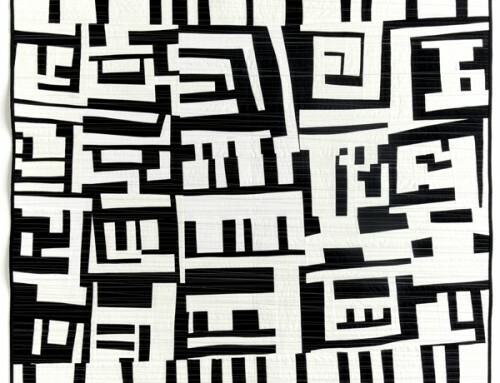 I improvised lines over the top of the piecing, and added 1/4″ quilting lines in the grey areas. The quilting came out so great, and was definitely worth the time I spent quilting it! It’s so full of texture! 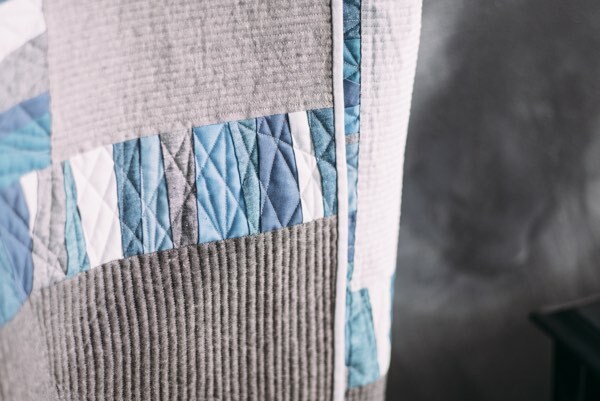 We had professional photos taken for Curated Quilts, and I really love how this shot turned out! The quilting shows up even from a distance, and the color is spot on. 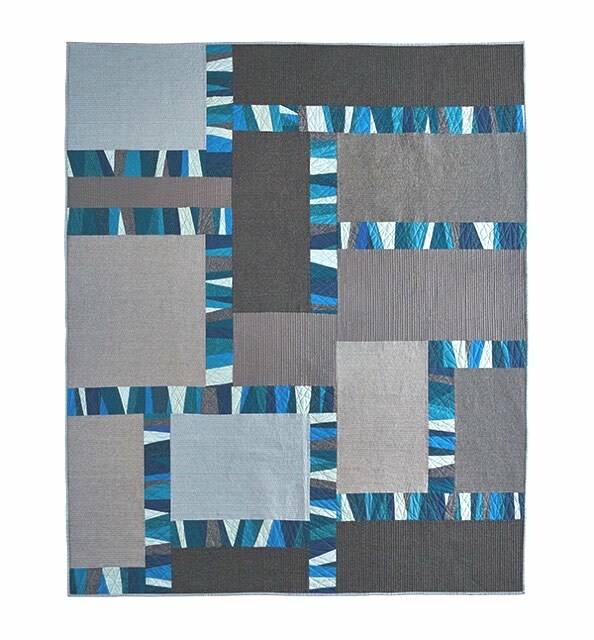 Mellow Grids is made with Essex Linen from Robert Kaufman, I ordered as many of the grey and blue fabrics that I could find. I can’t wait to see someone else make Mellow Grids, and put their unique spin on it! 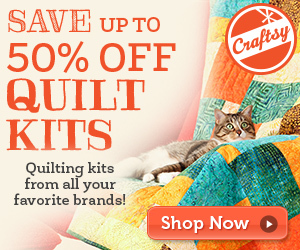 Curated Quilts is about to start shipping, you can learn more about the first issue here. Mellow Grids is just my kind of quit design. The modern look with a bit of wonkiness adds up to a fun project! 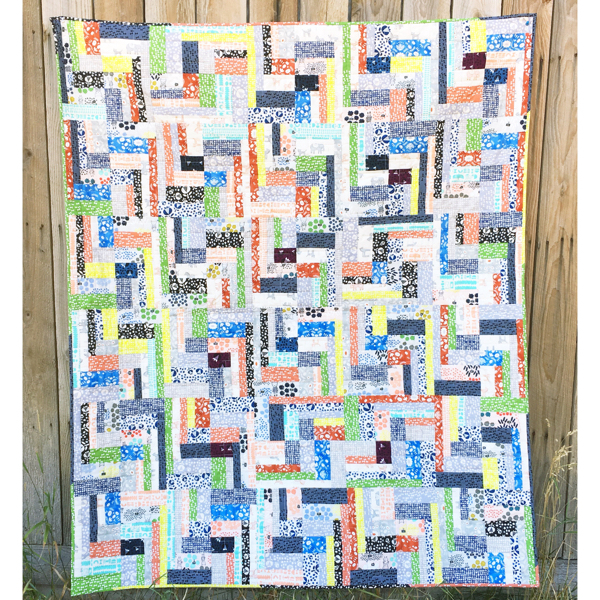 A perfect way to use up some favorite scraps too! I’d love to make one! Great use of the batting paper! I really like the scrappy look to the pieced areas. Gives me some inspiration for a sashing I’ve been thinking about! 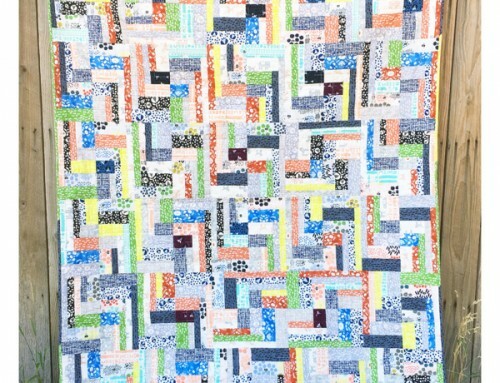 What a great idea to use batting paper to make this quilt. I also have been saving my batting paper and glad I have a use for it now. 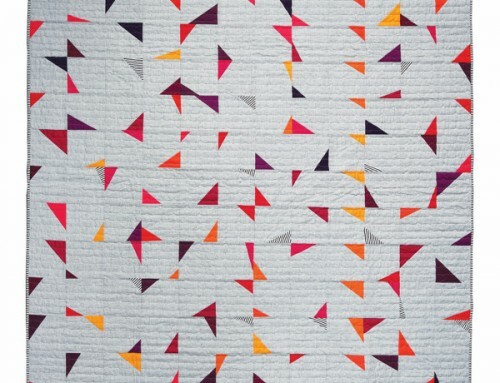 Love the colors and the quilting is just too beautiful. A delightful quilt. i especially enjoy the effect you have created with the use of different shades of grey. 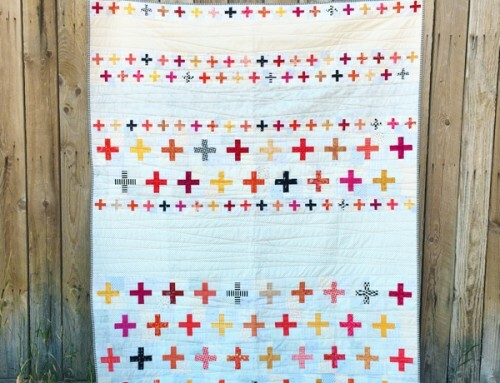 A fun way to design a quilt and good use of those leftover pieces. 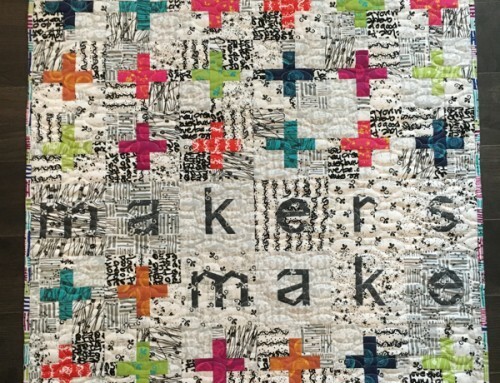 It is really fun piece and the quilting is terrific. Just gorgeous! Love the colors, the texture, and the photographs! Beautiful work! Brilliant!! I love to reuse/recycle and can’t believe I never thought to do this!! 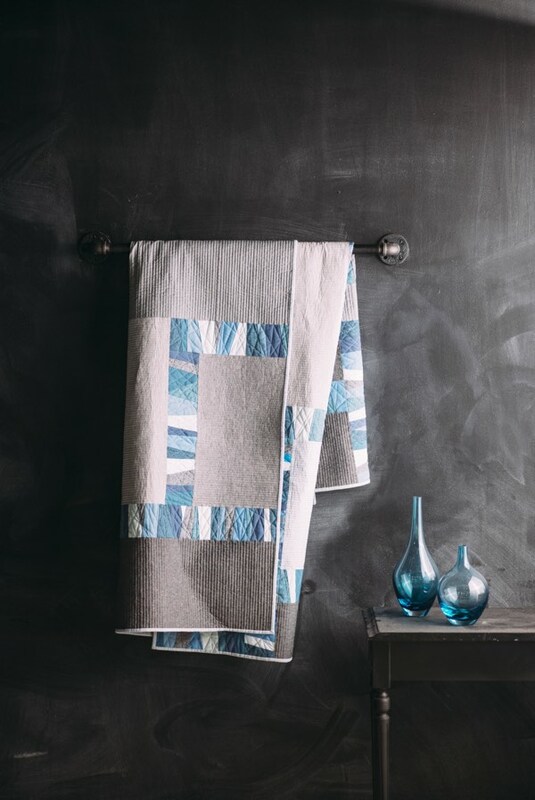 You’ve created such a calming quilt while giving new purpose to paper that would have otherwise been thrown away to be added to the landfill. Nice work!! Beautiful! But now I’m curious. What is batting paper and what do you use it for? Cutting without a ruler….that’s daring. I’m not sure I’m there yet.